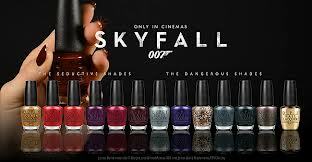 In theaters now, the next installment in the James Bond series: Skyfall. 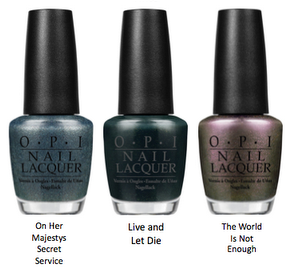 OPI has joined forces with 007 in its' latest movie Nail Color collection since Spiderman. 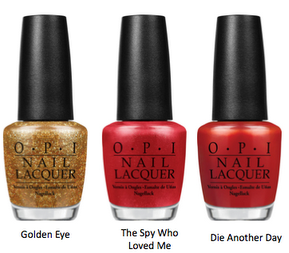 You may have spotted the 007 limited edition Gold Flake polish created to celebrate the movie release, now here is your chance to own more super spy shades. 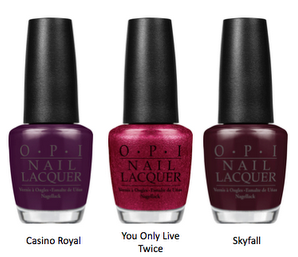 Prep your nails to be the next bond girl with 12 new colors, each named after a Bond film: $9.99 each, available in stores now. Psst! 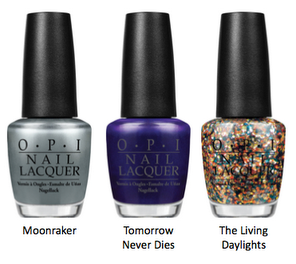 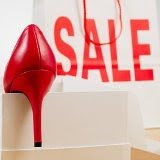 Buy more than 1 at JCP Salons & get the polish for $6/bottle. "Die Another Day" with "The Living Daylights"